My cavolo nero is going to seed now also and the sage is in beautiful flower. We have enjoyed it’s abundance over Winter. 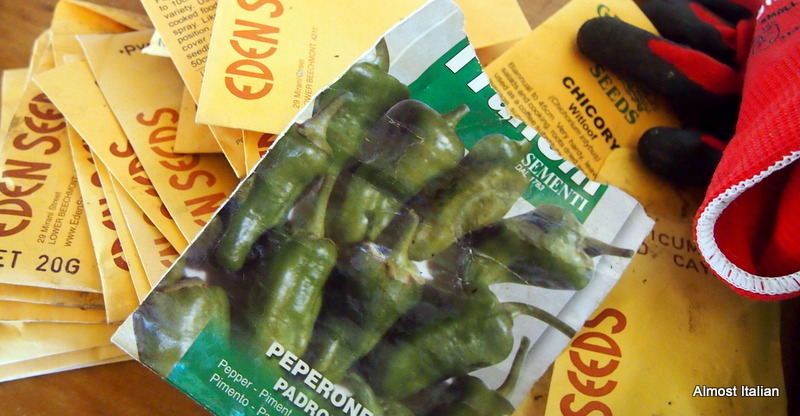 I love your idea of a random garden with your old seeds. I look forward to seeing what pops up in it. Have a great month. Hi Krystie, we must be living in a similar climate. 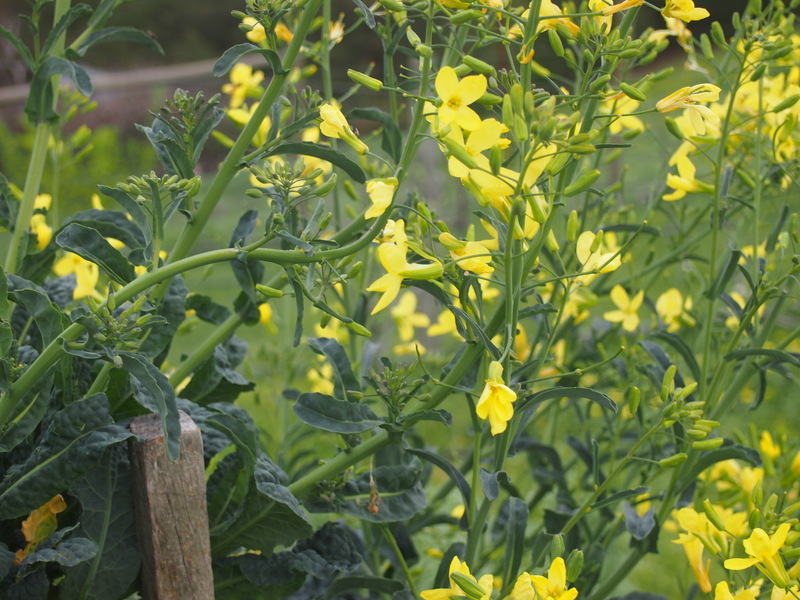 It was quite a surprise over winter, the old seed produced tons of brocolli, mustards and other leafy things. Its a matter of having a spare bed for this experiment. I love seeing what you are growing Fancesca. 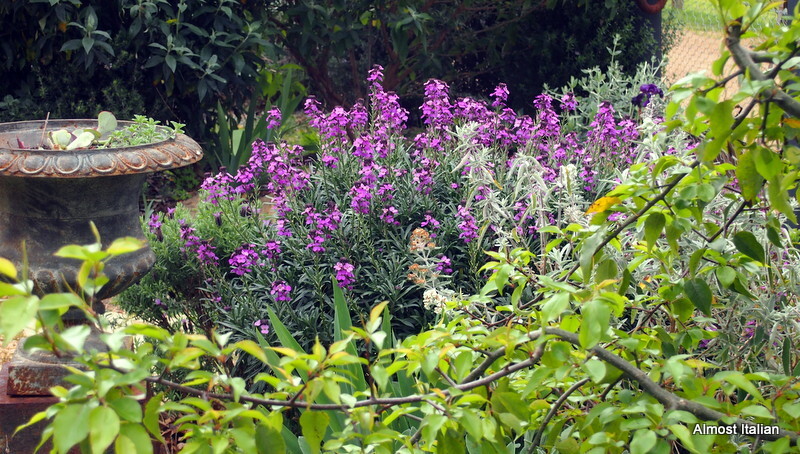 Is the purple flowering plant at the top the sage you spoke of? Those fava bean flowers are stunning! Wow. 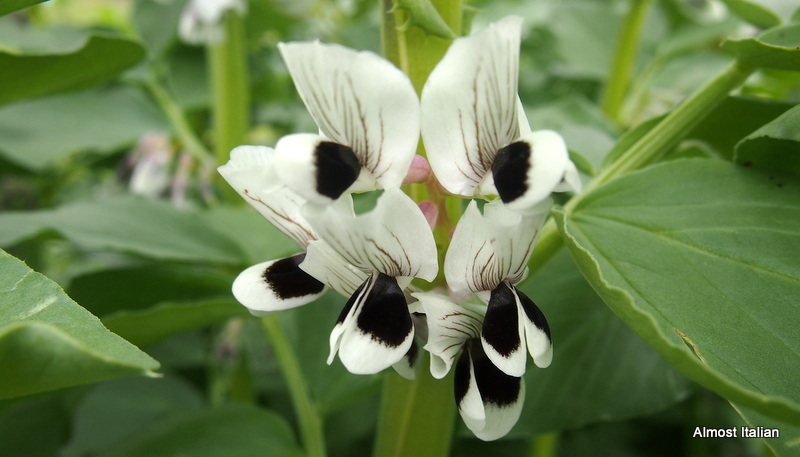 Legume flowers are usually pretty, but those are stunners. Did you watch Gardening Australia this week where they talked about eating the flowers from the cavolo nero? Eating the flowers diminishes the seeds, though, so I’m sure you don’t want to do that in your case. 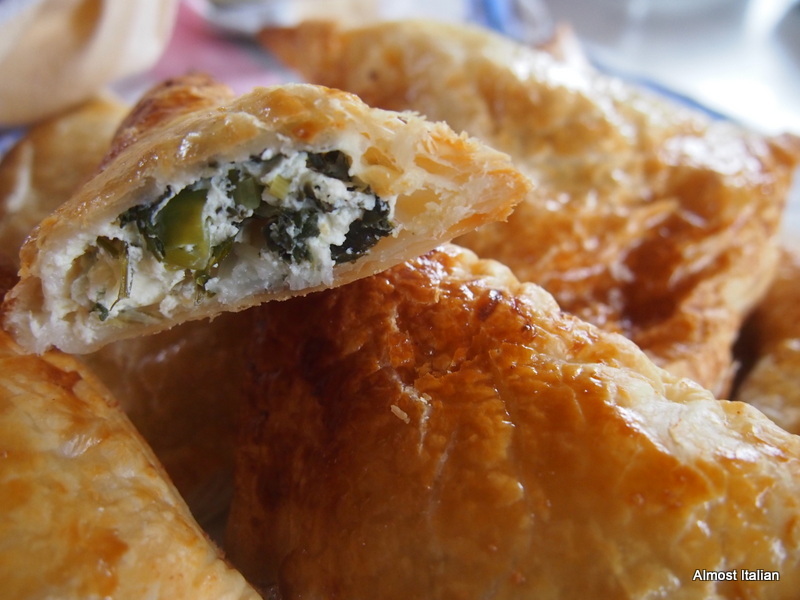 Those pasties with greens and feta look delicious. Thank you for a very interesting post and lovely photos! 40 C here today! Yikes! No I didn’t see ‘Gardening Australia ‘ this week but I must catch it on iView. The purple flowering plant at the top is a wall flower near my front gate: all my ornamental garden is in mauve, purple and sage green- most of it is drought hardy as the summer temps here are horrendous- sometimes 44c for a week. But if it is already 40c in the centre- YIKES indeed. I usually make greens and fetta pasties in the usual Greek way, but as I had a bit of leftover puff, I made these big pastie shapes for my daughter. I’ve never thought to let the radicchio flower – that’s something to try next year. Fabulous looking pasties too… something else to try, although I might not wait until next year. The radicchio flower is the brightest of blues. the bees just love it! I’ve been growing a special type of radicchio (zuccherina di Trieste, from my hometown) for many years now and cannot get it to go to seed. The leaves on some of the plantings just get bigger and we keep eating them. It’s like a bottomless cup of coffee. Still, shouldn’t complain, it’s a lovely salad green to eat – traditionally with hard-boiled eggs. Thats interesting. 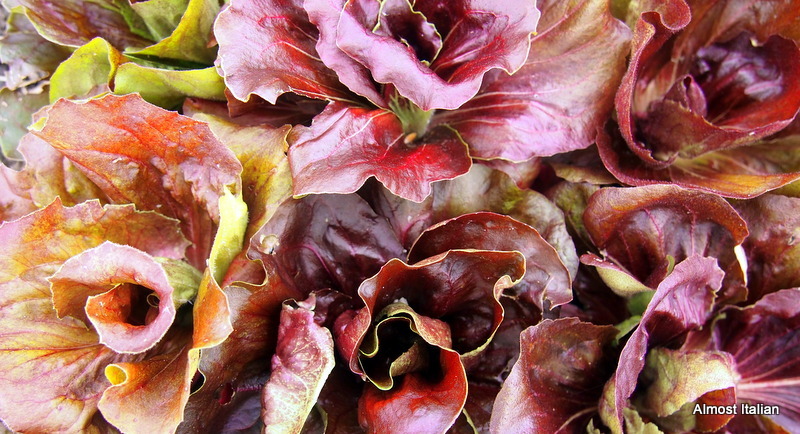 That radicchio doesn;t really turn red? I think I know the one you are referring to. Any bitter green is nice – yum, with hard boiled eggs too. I really do like cavalo nero but my favourite kale at the moment is baby kale as it’s beautifully tender! Very hard to find though unless of course you have your own garden. there is a small window of good weather between the cold winter, the late frosts and unpredictable spring, and then the heat of summer. even in hobart, we seem to have such a small window of good sowing/planting weaather. i love the quince flowers. 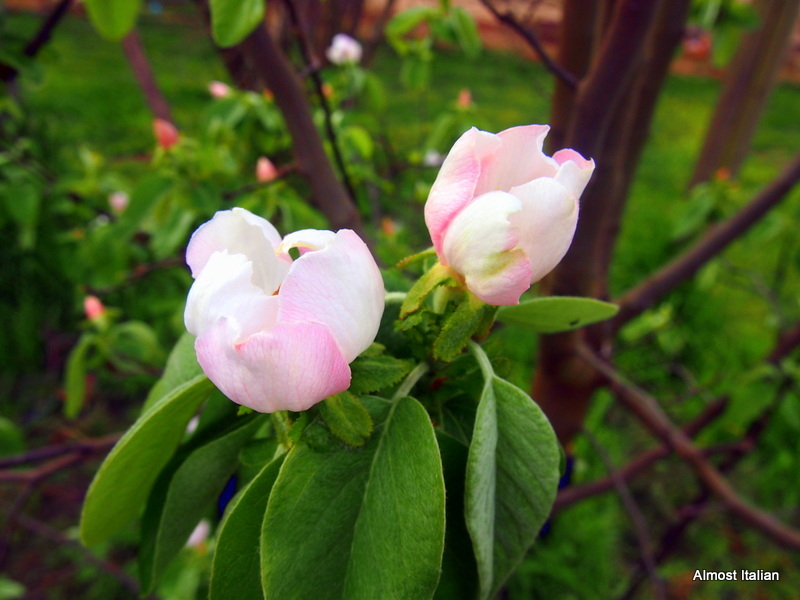 my parents have quince trees and like yours, the large cup-shaped flowers are as beautiful as any rose. Hi Francesca, I am seriously jealous of your radicchio! I love it raw in salads, grilled or even pan fried. Such a versatile veg. Things are cooling down here on the other side of the world, but can understand the infection of “new growth” spirit that spring brings. I am really please re the Radicchio too. The older I get, the more I appreciate bitter leaves, or need them. Not sure what this says about my mental health, but my taste buds are definately more discerning. Spring not only brings new growth, but the rampant gardens with jobs galore! Enjoy the best season – Autumn. It’s always a pleasure to wander through your garden. I love to eat vegetables & herbs but I could easily grow broadbean, cavalo nero, raddicchio, sage, etc just for the flowers We were in the country last weekend and got to experience some of the seasonal changes first-hand; the last buds on late winter flowering trees and the first flowers & leaves on others. Even our garden, which relies on it’s own devices and really could do with some rain, had managed tiny yellow irises and masses of purple wisteria. Wisteria is the most wondeful plant: a welcome perfume and swathe of purple to greet you when you return. Thanks Meryn, they must be a curly radicchio. The striaght one I know of is called Treviso. I looked at the quince flower stoday: no longer pale and delicate but fully open, waiting for the bees. I have never seen any kale go to see before, so its kinda cool to see. i am not sure it may be too hot where we are to go to seed though one would think that it would be ideal to get it to bolt. Kale loves a crisp winter, it is the Prince of Winter, and develops lovely dark green leaves in frosty weather. When I let mine go over summer, it gets infested with bugs. I think it may be too hot in your area for this kale. I have never seen fava bean flowers before. They look so beautiful, Francesca. Thanks for showing. They are beautiful and come with a promise of spring.